Our most ambitious project yet, Mel Brooks' fabulous musical The Producers. With a band, extravagant costumes and our biggest cast to date, we are so grateful to all who contributed to this show.. The King Alfred Playes are a long established local drama group; with a recent decline in membership, they have decided to wind up the group. They are very kindly distributing their assets amongst 17 local groups and we were thrilled to receive a substantial donation which will help to pay for the theatre hire for both this show and Deathtrap. They have also kindly donated a great deal of props and scenery - THANK YOU! A massive thankyou to Asad and his team for agreeing to be our PLATINUM sponsors for this show. 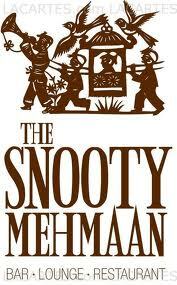 This is the favourite local restaurant of one of our leading men, what better recommendation, get yourself down there! 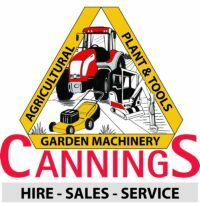 The fabulous folk at Cannings agreed to be a SILVER SPONSOR for this show - friends to us since our first production 'The Rise and Fall of Little Voice' we are very grateful for their continuing support. A new and exciting business in the area, we were absolutely thrilled when the good folk at Cherry Pie agreed to be one of our BRONZE advertisers! Situated on the A420 near Buckland, you need to drop in and experience the all american diner .... the milkshakes are to die for! Click on their pic to go to their website. Welcome aboard Cherry Pie friends! Mel took our fabulous 'cover' shot for posters and tickets and also the cast headshots - this was the first show we did a 'character' photoshoot, and Mel was fabulous at capturing the essence of each wacky character ... she even appeared in one of our promo films!